CB543A HP Color LaserJet CP1215 Toner (125A) Magenta - This HP CP1515n toner is for affordable, professional quality color printing. This HP CM1312 toner offers great print quality and reliable performance. 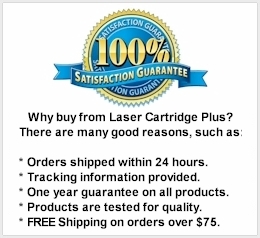 For use in HP Color LaserJet CM1312 MFP, CM1312nfi MFP, CP1215, CP 1215, CP1515, CP1515n, CP1518ni Printers. Page Yield is 1,400 pages per color. Do you need the whole set? Buy a HP CP1215 Toner Combo Pack.